Successfully Added Xiaomi Air Purifier 2 - 10000 Liter Fresh Air Per Minute, 360-Degree Fan, 330 Cubic Meters Per Hour, 46 Square Meter Range, App to your Shopping Cart. Enjoy clean and purified air thanks to the Xiaomi Air Purifier 2. This high-performance air purifier cleans up to 330 cubic meters of air per hour, assuring that the air quality in your home or office is always top notch. 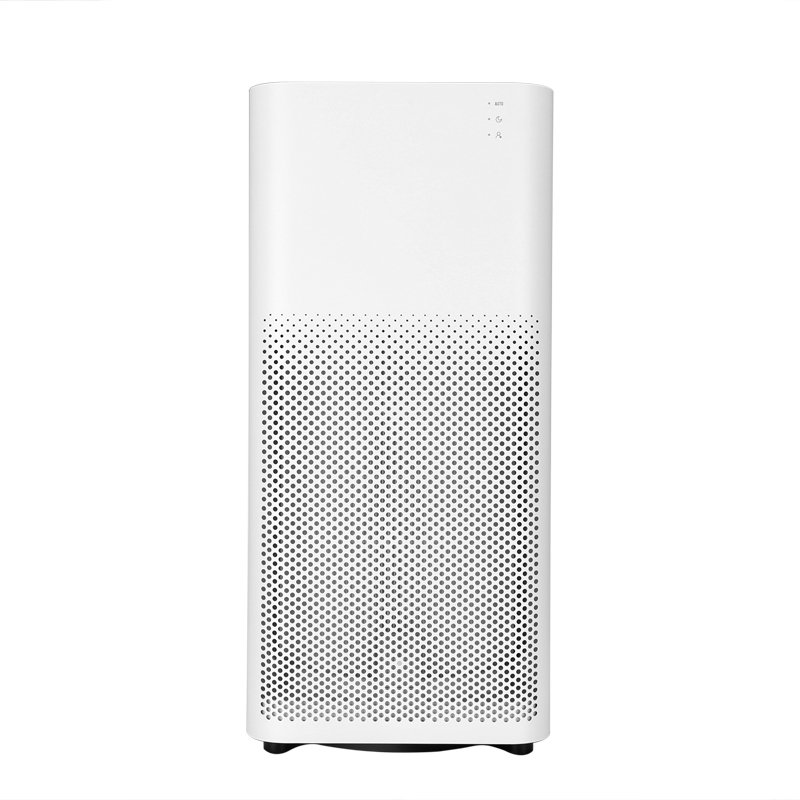 Featuring two different cleaning modes, the Xiaomi air Purifier 2 is capable of cleaning an area up to 46 square meters – guaranteeing its efficiency even in the largest rooms. Its triple layer filters make sure that only the cleanest air gets through, allowing it to get rid of dust, smoke, and other harmful substances that may be polluting the air in your living or working space. Thanks to its 360-degree fan, it is capable of blowing clean air in any direction – allowing you to purify the air in a massive area by using merely one device. 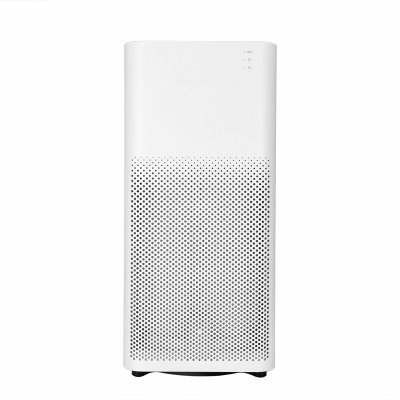 Additionally, the Xiaomi Air Purifier 2 comes with a Dual-Fan and four air ducts, creating a large indoor circulation of clean air. Producing nearly 10000 liters of purified air per minute, you can be assured that you’ll only be breathing the cleanest air imaginable. With its ultra-quiet design, this air purifier can be used efficiently in households and office spaces alike without disturbing the people during their everyday tasks. Coming with an abundance of smart features, this Xiaomi Air Purifier is compatible with the Xiaomi mobile application. Not only does this allow you to control your machine from afar, it also provides you with real-time updates and warnings related to the air quality and humidity levels in your home or office. Allowing you to choose between manual and automatic mode, you will be able to either adjust its settings by hand or let its smart features do the job for you. With its modern and stylish design, the Xiaomi Air Purifier is the perfect smart home accessory that suits the interior of any household or working place. Great for improving your health and stimulating clean living, this smart device makes sure that you’ll never breathe in a harmful substance again. Additionally, it will control the humidity levels, guaranteeing that you’ll always be able to enjoy a comfortable environment while at home or at work. The Xiaomi Air Purifier 2 comes with a 12 months warranty, brought to you by the leader in electronic devices as well as wholesale electronic gadgets..
Arabic: - مرطب الهواء - Chinese Simplified: - 空气加湿器 - Czech: - Zvlhčovač vzduchu - Danish: - Luftbefugter - Dutch: - Luchtbevochtiger - French: - Humidificateur d’air - German: - Luftbefeuchter - Hebrew: - מכשיר אדים אוויר - Hindi: - Humidifier वायु - Italian: - Umidificatore d'aria - Japanese: - 空気加湿器 - Korean: - 공기 가습기 - Malay: - Humidifier Penyaman - Norwegian Bokmål: - Luft luftfukter - Romanian: - Umidificator de aer - Russian: - Увлажнитель воздуха - Spanish: - Humidificador de aire - Thai: - เพิ่มความชื้นอากาศ - Turkish: - Hava nemlendirici - Vietnamese: - Máy máy tạo độ ẩm.